NOTE: This is the longer form version of a piece submitted to the Times Education Supplement. The piece was published today (27.07.18). Unfortunately, in editing my script to match space available, the TES team reported that I was headteacher at Caedmon Primary School when we were TES Primary School of the Year in 2009. I was not. I became deputy headteacher at Caedmon and then moved on to take up headship in a school elsewhere. The TES have amended the on-line article but the hard copy has been published today. I am thankful to the TES (Helen Amass, in particular) for allowing me the opportunity to share my ideas on community capacity building. Mr Philip McElwee was headteacher at Caedmon. I was incredibly lucky to work for a headteacher in Philip who encouraged and offered so many opportunities for both professional and personal development – not only to me but to so many others who went on to lead in schools across the region and beyond. Philip afforded you responsibility and backed you to the hilt, offered an ear and wise counsel when you faced challenge, picked you up when you fell down, and stepped back when things came good and praise was on offer. Our profession owes a debt of gratitude to Philip and those like him who worked tirelessly and selflessly for many years, often in the most challenging of circumstances. Philip kept our feet firmly on the ground and never ever let us forget who we served; the families in our school community. If you were to ask me for an example of a moment in my career when all that I believe in as a person and as an educator broke the surface I would offer this. I had been asked to present on work done in school around ‘community cohesion’ and ‘extended schools’. I said yes. I said that I would have two co-presenters with me. I asked the two. They agreed. We travelled together. I think it is fair to say that my two co-presenters were extremely nervous on the day and a good way out of their comfort zone. The conference began with an address by the Director of Education. He talked through a series of slides. The slides contained numbers, graphs and statements; a sort of State of the Borough address, featuring life expectancy indicators, crime counts, literacy levels etc. The room was full of headteachers, deputy headteachers and local authority personnel. I sat with my co-presenters: Richard (father of six children at our school) and Michelle (mother of three children at our school). We listened as the area our school serves was continually flagged up by the Director as poorly performing on all counts. Indeed, often top or bottom ranking, when it was not good to be that. To be fair, the Director did not know that Richard and Michelle were in the room. In fact, few did. I guess the expectation was that my co-presenters would be colleagues from school. They were, but you get my drift. The Director did not share the fact that the school serving this area (our school) had just been awarded the accolade Primary School of the Year at the inaugural TES Awards ceremony in London. He may not have known. We did not shout it from the rooftops. …a truly community-based school with great achievements… The development of school-parent-local community relations as part of the extended school has been first rate. I was not particularly irritated by all of this. I knew the script. As the Director got up a head of steam I looked across at Richard and Michelle. Richard winked at me, knowingly. Michelle was taking it all in. The Director finished. We were introduced and did our thing. Richard and Michelle were mobbed at the lunch break. They were like the new kids in school. Everyone wanted to sit next to them. I am not and was not the best teacher in the world. I enjoyed it. I worked hard at it. I have always been wide open to learning and development. I have always sought to get better at getting better. From day one, I had an interest in working with families and community. That has developed into a passion and something of a mission. I welcome this opportunity to say something on it, and to lay down a few ideas I have formed along the way. I believe that the networks of support our young people need now are just as important as they ever were, arguably more so. Those networks must encompass families, school and community. Richard, Michelle and so many more community colleagues (I prefer, friends) totally got that. We can do better. Especially in areas where thinking on aspirations and what is possible becomes muddled and stuck. Schools can work on building such capacity, placing themselves with and within their communities. We must believe that all schools, in embracing their communities and fostering solidarity can shape a better and more socially just world. To do so, we must address the needs of all those orbiting around our unique communities by listening to their stories and addressing traditional lines of power. There is an ever expanding field of research that tells us, quite simply, that parental involvement with schools and parental engagement in children’s learning is a good thing and has positive impact on academic achievement and aspirations. Alright. But then we must pay heed to what the research also tells us. 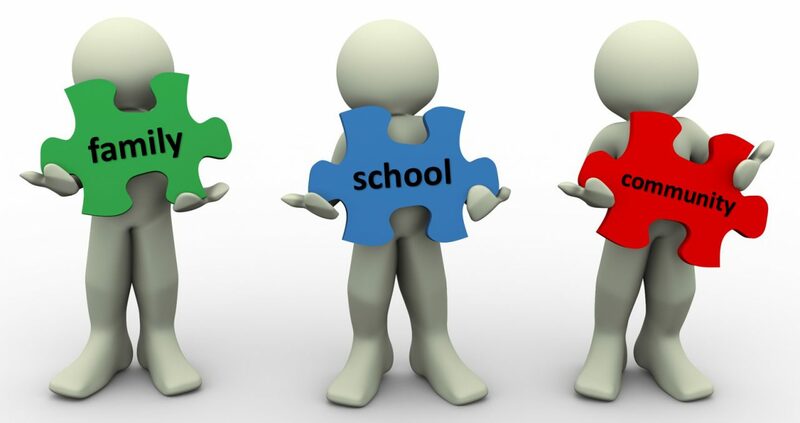 There is no one size fits all intervention for supporting parental engagement; not all parents are the same, have the same needs, face the same barriers or share the same conceptualisation of parental engagement. Also, we ‘professionals’ often make assumptions about groups of parents based on very little actual knowledge about them or their situation; this is particularly the case when parents and teachers do not share the same worldviews, experiences or social capital. There is no recipe for community building – no correlates, no workshop agenda, no training package. Community cannot be borrowed or bought. We know that every school community is unique. Are we saying that community building requires active negotiation? Yes, and it is a departure from tradition. For, as Paulo Freire said, “Solidarity requires that one enter into the situation of those with whom one is in solidarity; it is a radical posture”. We will feel vulnerable and will need to embrace that vulnerability. But it is a process that leads to socially engaged, connected communities. It identifies and addresses the constraints being experienced by those at ‘grass-roots level’. It is socially just. Community capacity building is a process that requires interrogation of Power as a concept and how it works. It challenges us in the way it favours the approaching of parents with dignity and as full citizens above colonisation of the home and paternalistic condescension. None of this ‘hard to engage’ nonsense. Alinsky had a view on this. He said that “apathy” is the label put on people who won’t come to your meeting. Rather, he countered, “people didn’t want to bang their heads against a brick wall”. Let us not write people off until we have heard their story. We lift the lid on Trust and the low-risk and high-risk interactions that impact Respect, Personal Regard, Integrity and Competence. A school community founded on Trust establishes relational power, as defined by Mark Warren: ‘If unilateral power emphasises power “over”, relational power emphasises power “with” others, or building the power to accomplish common aims’. Having established insight into Trust and the machinations of Power we think on and develop skills inherent to good conversations; dialogue. We live in an age of surveys. The problem is that surveys don’t work for social change. Freire said that ‘Without dialogue there is no communication, and without communication there can be no true education.’ Founding itself upon love, humility, and faith, dialogue becomes a horizontal relationship of which mutual trust between the dialoguers is a logical sequence. Delving into such things is not the norm in our schools. It is unlikely to feature on professional development planning schedules. It does require time. It does favour and fit within a coaching model. Coaching that reaches across the community, touching all overlapping spheres of influence. It will lead to authentic partnership. So far as definition of authentic partnership is concerned I, for one, cannot top that provided by Susan Auerbach; it encapsulates all that I would aspire to. I would bet that Richard and Michelle wholeheartedly agree. He offers schools transferable learning and lessons from his experience as a school leader and Primary Head (with a strong belief in community engagement), a researcher (doctoral studies focusing on relational leadership and community capacity building), and as a community capacity building coach working with schools across the UK.